Connectedness presents great obstacles to teachers actively trying to engage students in the classroom. This workshop will introduce to you an easy and free online resource that can be used to replace one or all of the traditional lesson plan steps in order to increase student participation and engagement levels. Who is Bruno Guedes Pereira? What is the single characteristic that you want most people to know about you? 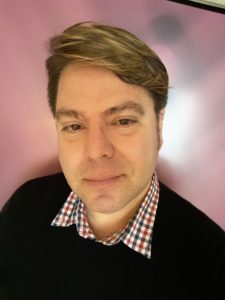 I am a senior lecturer at the oldest and largest French-speaking university in North America, and I am currently involved in many projects that seek to adapt teaching to the new learning spaces in order to optmize learning in postsecondary institutions. My workshop will introduce a new web tool that can be used to replace one single step of the lesson plan, such as controlled practice, or the whole lesson in order to reach digital native learners and increase their engagement level in class. As such, one could say that my workshop will aim to show you that you can (T)ransform your teaching in order to (T)ranscend traditional learner engagement. Currently, (T)ransforming my teaching has been the focus in my career. TESOL Greece is an opportunity to share my experiences in the brave new world of teaching 2.0 with a larger network of fellow teachers. I expect to make great connections and learn new ideas and methods. I wish all participants great success at sharing ideas and experiences as I think this is truly how we measure the success of a TESOL conference.